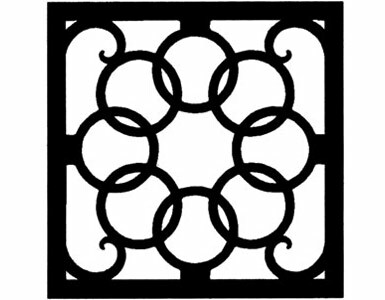 Solid wrought iron square wall art crafted out of solid wrought iron in central New York. Add a touch of old world style to your home with this solid piece of artistic splendor. Wall art style 214 measures 11 7/8″ W x 11 7/8″ H and weighs four pounds. 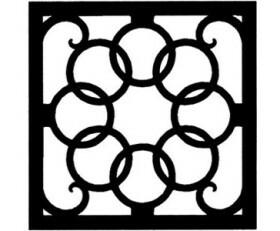 From the heart of Central New York, Village Wrought Iron manufactures thousands of finely crafted wrought iron products. Our goal since 1975, has been to design and produce decorative, functional and long lasting handcrafted products for your home and garden. NOTE: This product is NONCANCELABLE once ordered. Please allow 4 to 6 weeks for delivery.